3. Flat Iron Curls. I've started using my flat iron to curl my hair a lot lately. 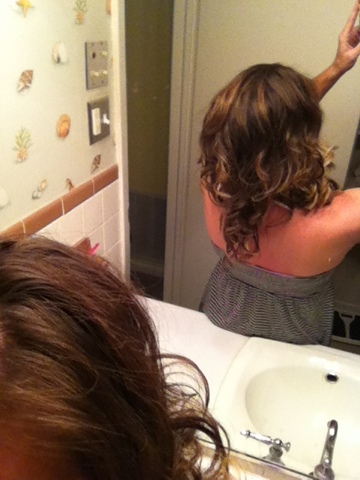 I like how loose the curls are, and they seem to hold better than curling iron curls. The shape isn't as nice, but if you're going for a loose, beachy look this could be for you. To start, section you hair into three sections. Take one inch pieces and clamp the iron at the root like you're going to straighten it. Twist your wrist toward your head and pull the iron down the strand. 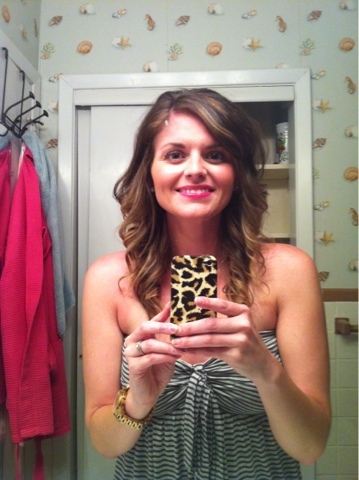 Repeat the same motion over the rest of your hair going in sections using one inch pieces. Voila! You've got fab hair. If you want more volume, you can tease your roots at the crown of your head. This is day 2 of this style. 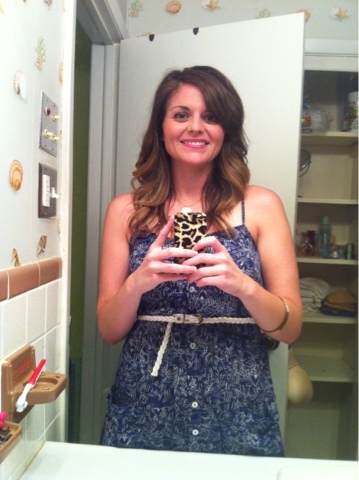 Less curls, more soft waves.